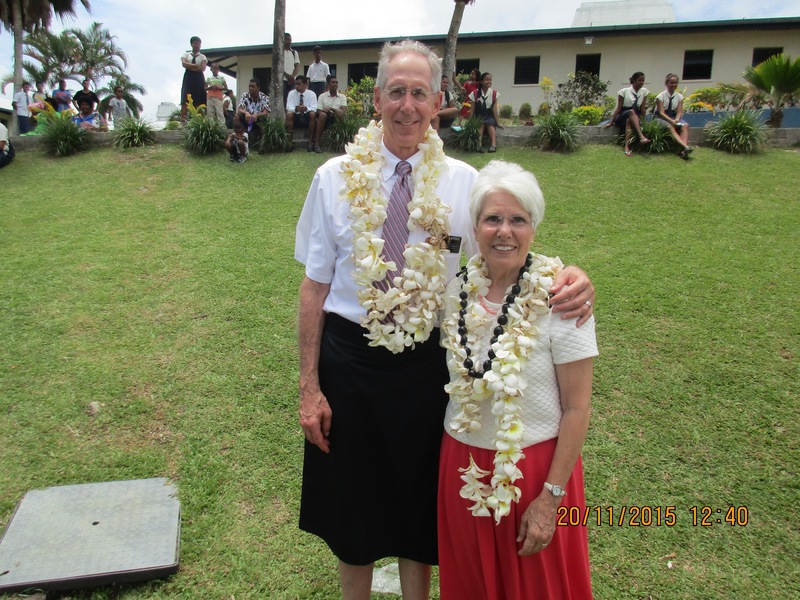 November 16 – 22 – Craig and L'Or L.
It took five months, final exams and graduations at both the LDS Primary School and the College to do it, but we finally had a day at the institute without seeing a single YSA. We’re sure glad people showed up the rest of the week! Thursday after class the students sang an early Happy birthday song to me. 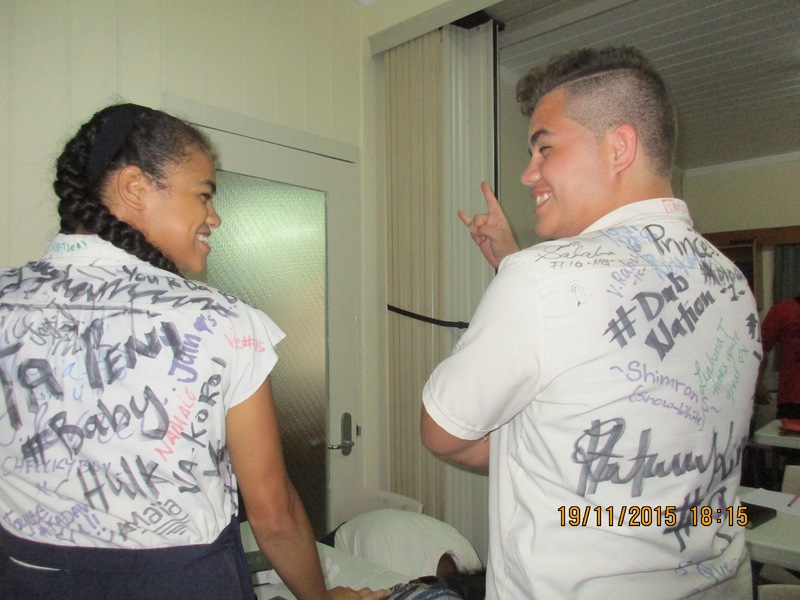 In Fiji, that song has three verses: Happy birthday to you, Happy long life to you, and God bless you. can sign a uniform you’ve been wearing for four years? 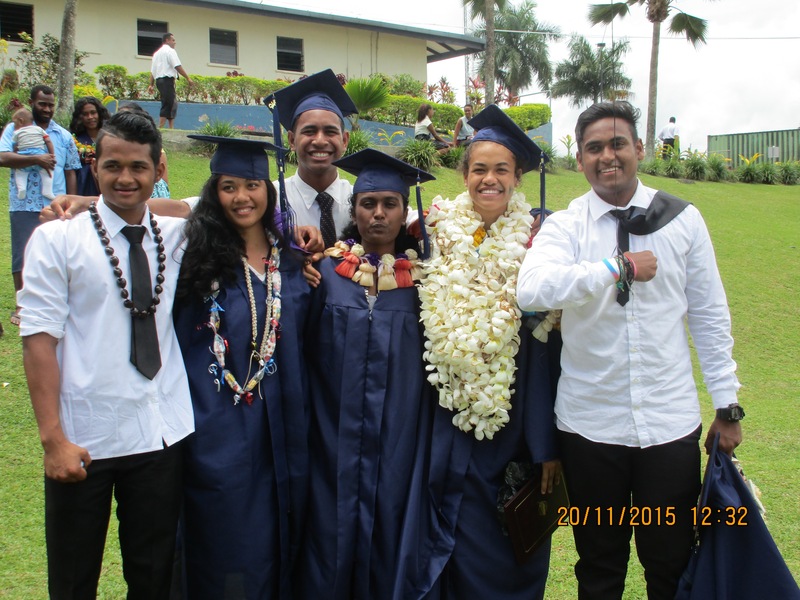 Shimran, after giving a beautiful valedictorian address –extemporaneously! The LDS College graduation ceremony was great. The choir led by Sosi, one of our YSAs. 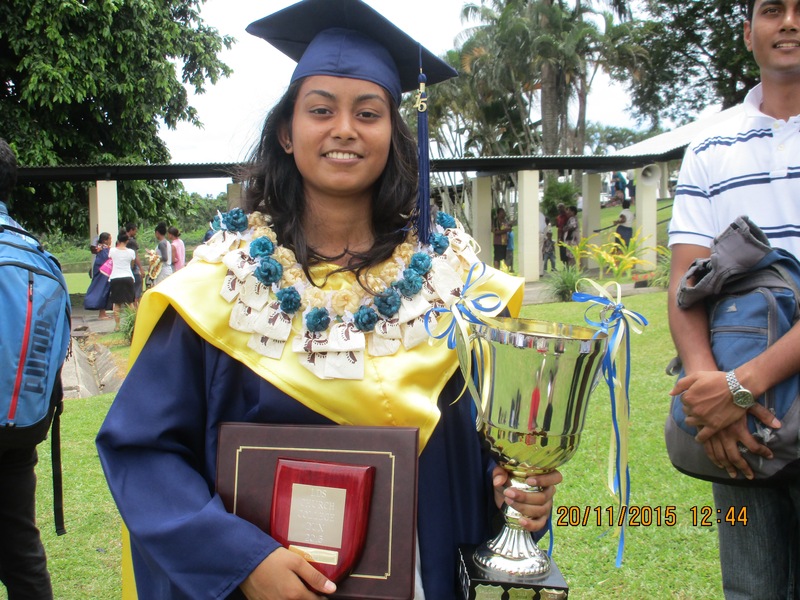 The valedictorian was announced after a fancy drum roll, coming as a complete surprise to…. Shimran! We’ve gotten to know her at Institute, and we were not surprised. She is an incredible young woman. Graduation day started at 9am with awards. That was followed by a formal Commencement ceremony, throwing hats into the air and lots of picture taking, traditional dance performances, and Maori Haka, led by Hyrum Johansson. …Savaira shared it with me because it was my birthday. 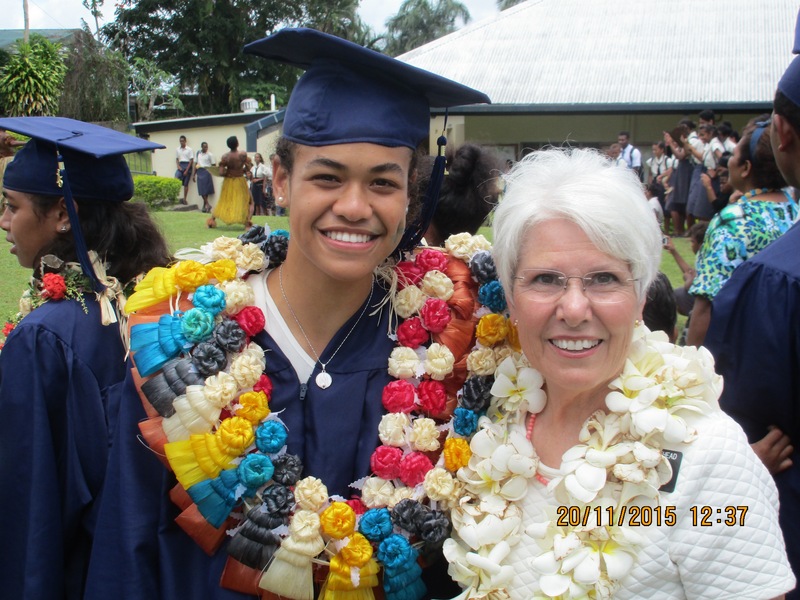 See the incredible white flower lei Saviara’s mother made? She even shared some with Elder Whitehead! 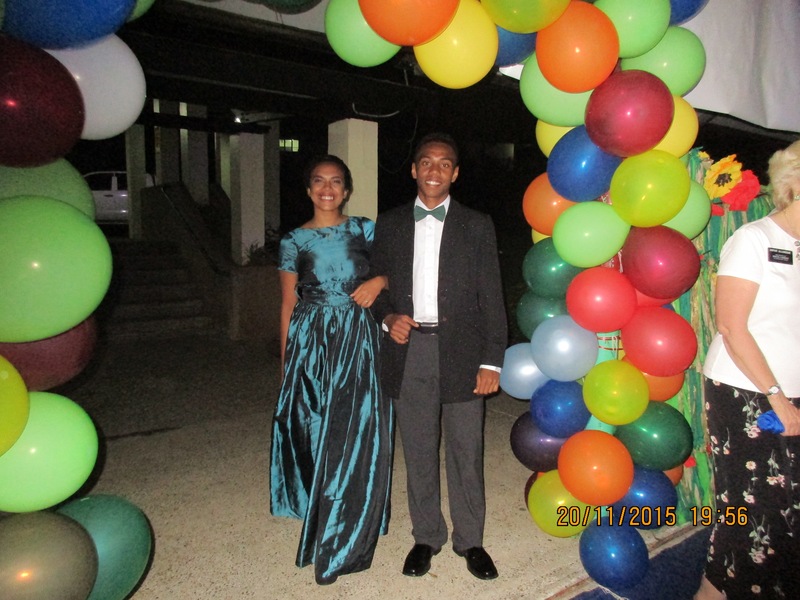 The graduates dressed for the prom while adults decorated the gymnasium and prepared a delicious dinner. Each couple was introduced as they began their prom night – and what a night! We were exhausted just watching it all. 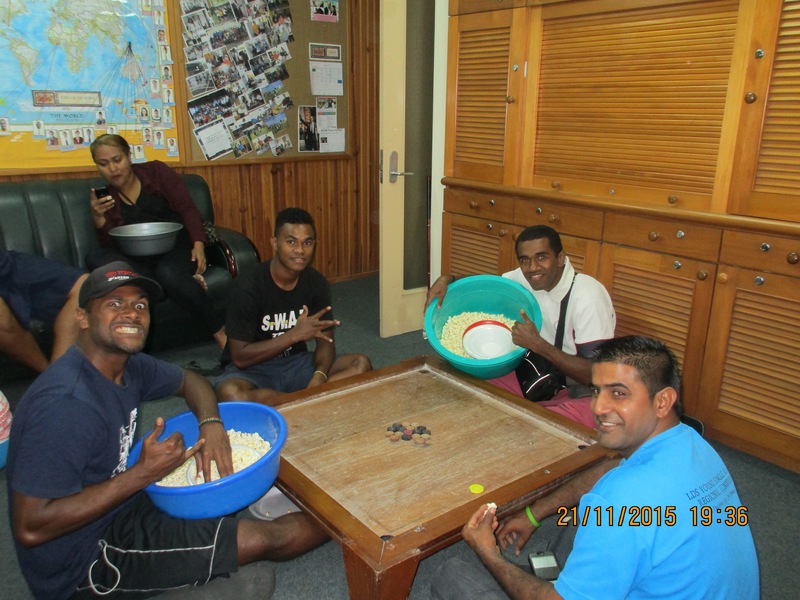 Saturday we enjoyed going with Tamavua 2nd ward to an Old folks Home. We talked, read, sang, shared gifts of flowers, bibs, other handmade things, and met some very special people. We had a nice visit with Mahesh — who is younger than US old folks! As long as there’s pop corn, we might as well party! Saturday night was movie night and playing games. We could tell everyone was just a little tired from all the busyness and stress of graduation, but we had a great time. 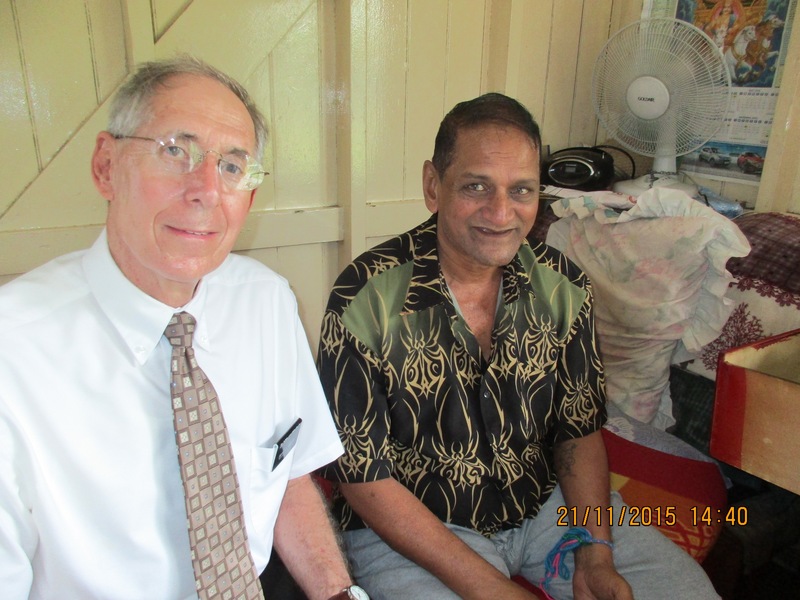 Sunday we attended church in Navua. We were asked to bear our testimonies in Sacrament meeting, teach Sunday School, I participated in Relief Society, and Elder Whitehead taught in Priesthood. Moral of the story for missionaries: keep a talk in your pocket! We loved it. We stopped in Lami on our way home, where Elder Whitehead participated in their priesthood meeting and I visited with their YSAs. What a perfect day – well, except for when our defective, three times repaired car alarm went off again for about 15 minutes. They’ll never forget our visit! We ended the day attending a fireside for Returned Missionaries in the Suva Fiji Stake. 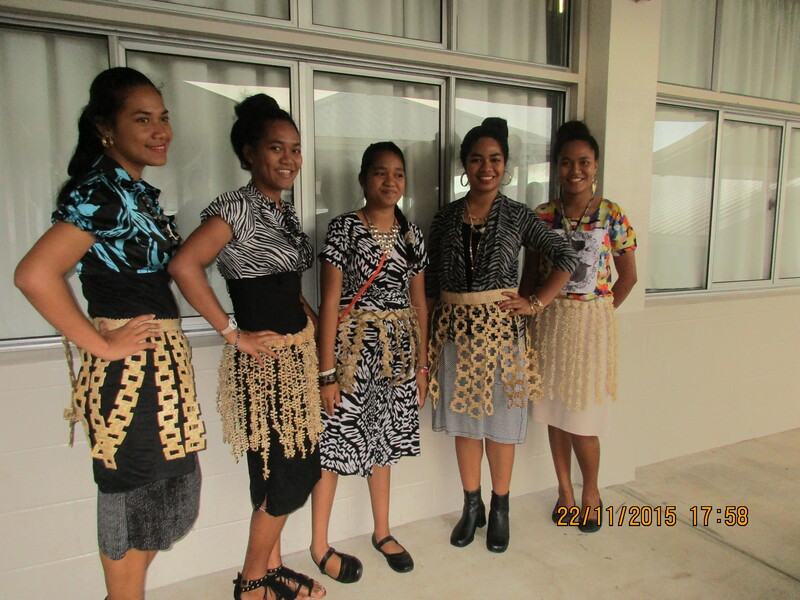 These beautiful girls had just returned from Tonga, so they wore their traditional Kiekie to the fireside. During the fireside we stood and sang the hymn “Let Us All Press On.” We sang the first verse in Fijian, second in Hiligaynon, third in Tagalog, fourth in Pohnpeian, and fifth in Maori. It was so fun to hear it all, and to hear everyone practically raise the roof as we sang the chorus in English after each verse. 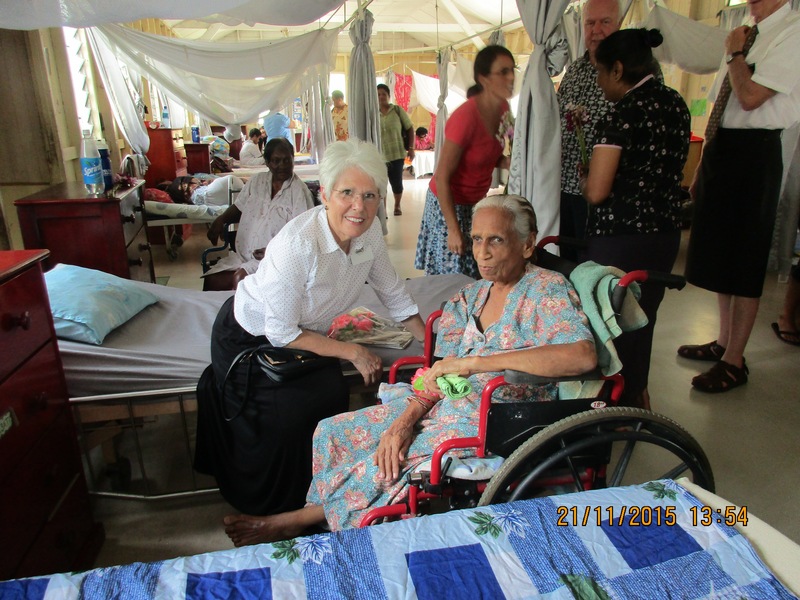 We are thankful to be involved in the work of the Lord… so we will continue to press on!